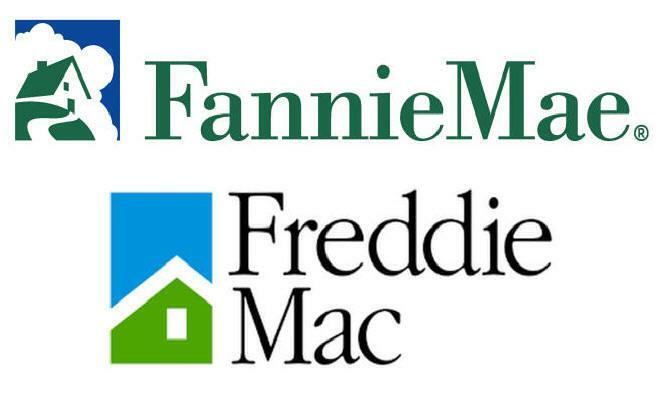 Fannie Mae and Freddie Mac have now been in Federal Governmental conservatorship for 10 years, with no end in sight and no plan for their future. While the prevailing political climate is hostile to the agencies continued existence, there is also a well-justified fear that terminating them would depress the mortgage market and new housing construction. The result has been a policy paralysis. Given the impasse, the best approach may be to give the agencies a new mission, one that could be completed in 3-5 years that would command broad agreement on both sides of the political aisle. This would kick the can further down the road but it would be a better can when it got there. The mission would be to reduce mortgage costs. Two major rule changes would figure prominently in their agenda. One would convert third party settlement costs into lender charges. The other would shift the ownership of property appraisals from lenders to borrowers. To borrowers, third party settlement costs are a horrible and unnecessary source of complexity, confusion and overcharges. Existing attempts to deal with the problem through government-mandated disclosures, rules against markups and prohibitions of referral fees have only added to the complexity of the process without preventing pervasive overcharges. Third party settlement costs could be converted into lender charges by implementation of one simple rule: any service required by lenders as a condition for the granting of a home mortgage must be purchased and paid for by the lender. Lenders would embed these costs in the price charged the borrower. The borrower would then have to deal with only one set of prices. Prices of third party services paid by borrowers indirectly in the price of the mortgage would be substantially lower than the inflated prices they now pay directly to third party providers. Under existing arrangements, competition by third party providers to sell title insurance, mortgage insurance, appraisals and other required services is directed not at the consumers who pay for the services but at the lenders who refer consumers to them. Lenders use their strategic position as a referral source to get a piece of the action, receiving free or underpriced services provided by the firms to which they refer business, or by participating in the ownership of such firms. Bottom line, if lenders had to pay for all the services they require of borrowers, the price of those services would drop like a rock. Fannie and Freddie could bring that about by restricting their purchases to mortgages that meet the new rule. In our current housing finance system, appraisals are issued in the name of the lender to whom a prospective borrower has applied for a loan, and it is not transferable to another lender. The second rule change that could be implemented by Fannie and Freddie would be to vest ownership of appraisals in the mortgage borrowers who paid for them, who could use them with any lenders to whom they apply. The switch to a borrower-ownership model would reduce the number of applications that are aborted when the appraised value turns out to be too small to support the transaction. It would reduce the time required to execute purchase transactions. And it would facilitate mortgage shopping by eliminating the need to pay for multiple appraisals. Shifting to a system of borrower control of appraisals does not mean that borrowers would select appraisers. That would open the door to the same abuses that arose when lenders selected appraisers. Rather, borrowers would purchase their appraisal from an appraisal management company (AMC), which would select the appraiser assigned to a property, and would be responsible for the quality of appraisals and the independence of the appraiser. AMCs would be subject to approval by the Federal agencies, which would look to AMCs rather than lenders as the principal guarantors of the integrity of appraisals. Approved AMCs would compete for the business of potential borrowers in terms of price, which would reduce the cost of appraisals. Under existing rules, appraisals are ordered by lenders who have no incentive to negotiate lower prices. In many cases, lenders have an ownership interest in the AMC to which they send business. Such ownership interests in effect legalize referral fees. They will disappear under a system of appraisal control by borrowers.